What type of legacy do you want to leave for future generations? 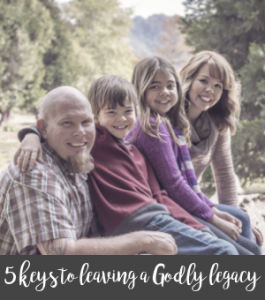 Lately I have felt pretty defeated when it comes to the idea of leaving a legacy. We can’t have kids naturally, which makes the whole leaving things behind to people hard! At one point we decided to adopt three siblings ages 2, 4 and 6. But after a year and a half process, the adoption failed due to a lot of unethical insanity in the system. As a result, we also decided to close the door on future adoption opportunities. 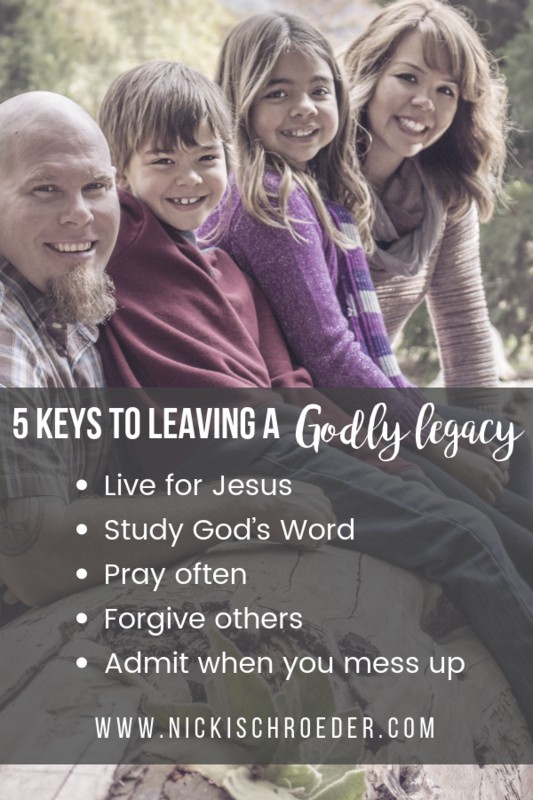 So what possible legacy can I leave in my situation? I have no kids, no plans for future kids. I have lots of stuff and a will that’s designed to get rid of all the things when we leave this world. Is leaving a legacy behind just about leaving people your stuff? 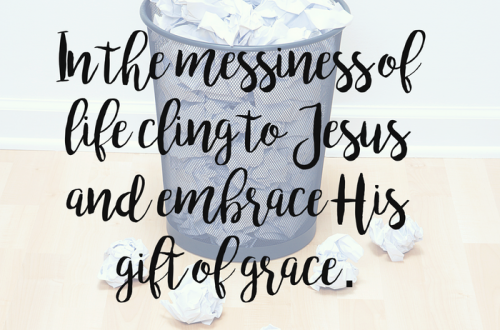 Have you heard the song from Casting Crowns called “Only Jesus?” It talks about how it’s not about the stuff we leave behind in this world, but the imprint of Jesus that lasts in the people we meet on this earth. Oh how I desire to leave a strong imprint on others! I’m doing this cool Bible study with a group of ladies from my church called “Keys to Freedom” from Nancy Alcorn. If you grew up in an abusive or dysfunctional home, it’s totally a study worth looking into. 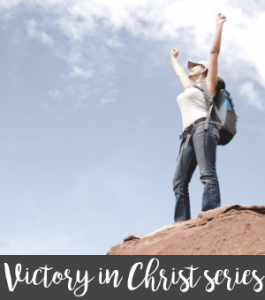 It talks about how all the icky stuff from our childhood leaves an imprint on our lives and we pass that stuff along to the people we meet daily, unless we make the choice to let all the bad stuff go and find freedom in Christ from our past hurts. Don’t you want freedom from past hurts and to live free in Christ Jesus? Of course you do. We all do. But we keep our schedules too busy and our minds too active to just rest in the Lord and heal the hurts from our past. And if you also happen to have a present-day relationship with someone who adds to your pile of hurts, the emotional baggage keeps adding up and weighing you down. We all need to choose freedom! Leaving a legacy of freedom! I want people to know that I am a woman who passionately loves Jesus! I want to put God first above all else, even when pressure comes from others to knock Him down the list. I want my love for Jesus lived out through my compassion for others, especially in their times of need. I desire peace in my daily life and choose to spread peace to others. 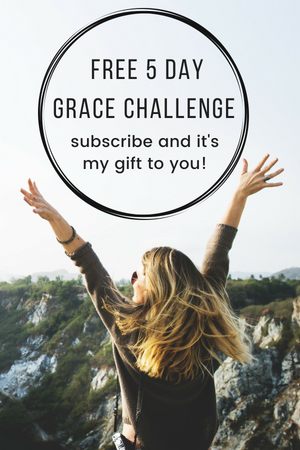 I want to serve others well and do my best to give out grace in abundance to those who do me harm. I choose to forgive those who hurt me, even the ones who aren’t sorry for the pain they have caused. 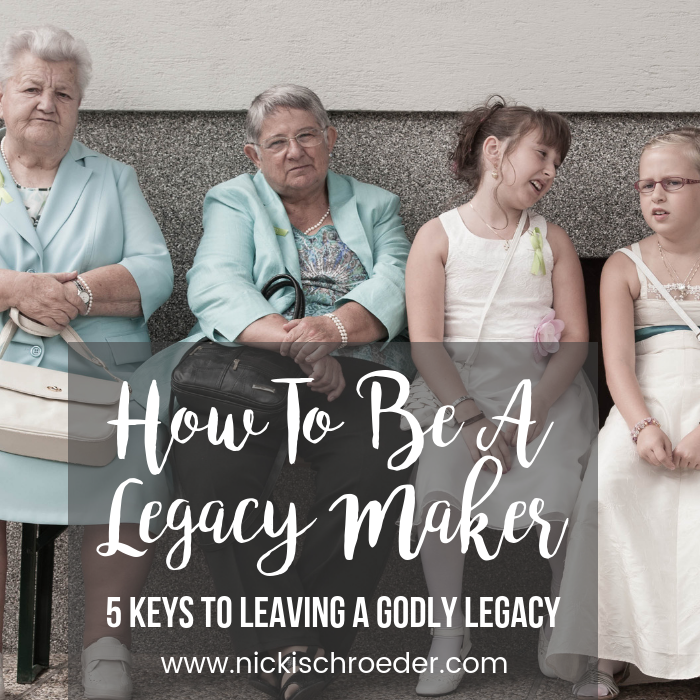 I think it so important for us to remember that even our desire to leave a Godly legacy comes with healthy, firm boundaries to ensure others don’t take advantage of our Kingdom-focused hearts. 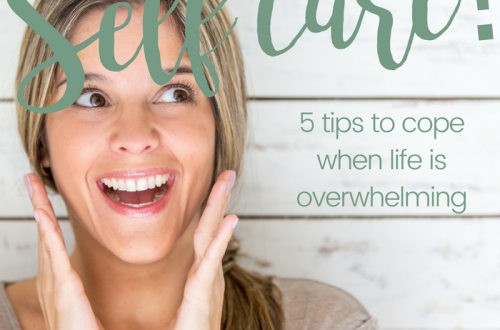 It’s certainly not a comprehensive list, but it’s a great place to start! Love your goals! I need to post this list somewhere where I can see it daily. I screenshot them so I can use as a reference. To focus on leaving a legacy! Yes! Thanks for being such a great encouragement in my life! Those may be simple practices and attitudes to shoot for, Nicki, but they are life-transformational to do! 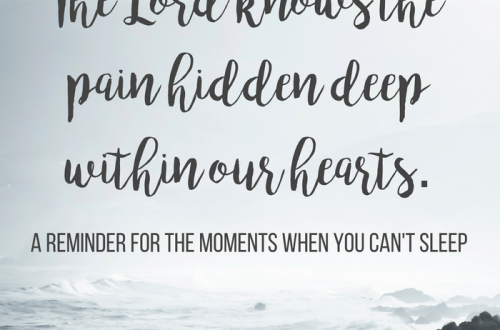 Thank you for sharing them and for being so real and raw about your hope-deferred and loss. Praying that God blesses your socks off this next year and beyond! You are speaking to my heart! Let’s be legacy women!!! Nicki! What a beautiful post, friend. I appreciate your list of 5 things to do to pursue building treasure inside ourselves and leaving the imprint of Jesus on others’ lives. I love your perspective on legacy here. And your goals…so good! I am a huge fan of self-reflection and goal-setting, and I just think these are such thoughtful and attainable beautiful goals! Thanks for sharing. I love the idea of legacy and following through with creating one in my own life. After both of my parents passed away, I realized that I am the next generation and the choices I make can make a difference if I choose that. Your ideas are ones that we all can embrace if we choose to do so. Thank you for sharing this.